Adapting to the ketogenic diet can feel like the flu. Tiredness, fatigue, stomach pains, and dizziness are common symptoms that the ketogenic diet beginner can experience, but these symptoms don’t come from a ketogenic virus or an infected mosketo (like “mosquito” — sorry, I couldn’t resist). In fact, the symptoms for keto flu are not even caused by ketosis, ketogenesis, or the flu at all. The keto flu is caused by the body’s response to carbohydrate restriction. Carbohydrates are like your body’s version of your first love. They provide so much comfort, sweetness, and easy energy that we spend most of our time with them. It feels so right, it feels like true love, but it is mostly lust. The kind of lust that increases our risk of diabetes, heart disease, and obesity. This is why breaking up with carbohydrates is a good idea for many people. But — just like with any breakup — it is difficult at first. You crave them and yearn for them. It is so heart breaking — not because you needed them, but because you are so used to living with them. However, after a couple weeks to months, you begin to adapt to life without your first love. With the help of your friends, protein and fat, you begin dating your new love interest: ketones. And suddenly, life is much better than before. This is what is going on inside of your body when you restrict carbohydrates. Most of your cells prefer to burn sugar for fuel and are adapted to using the carbohydrates that you eat. For your body to adapt to carbohydrate restriction, it must make many changes from the cellular level to the hormonal level. This process is synonymous with the adjustment period we go through after ending a relationship with someone we love very much. And just like with our first breakup, breaking up with carbohydrates can cause a laundry list of symptoms called the keto flu. For the average person, the keto flu lasts about one week, and symptoms usually begin within the first day or two of carbohydrate restriction. In some cases, the keto flu can last up to a month, but that’s not as common. But don’t worry, you may only experience one or two of these symptoms or none at all. The symptoms you get, the severity of your symptoms, and the length of the keto flu will be different depending on the person. Take me and my friend for example. For me, restricting carbohydrates for only 20 hours causes keto flu symptoms, and it sticks around for weeks. However, my friend is able to go from eating a high carbohydrate diet to fasting from all food for days, and he feels better than before. While I am laying in bed fantasizing about cuddling up with baked potato, my friend is finishing his third project. Why the difference? The main culprit is metabolic flexibility, which is the capacity for the organism to adapt fuel oxidation to fuel availability. In other words, metabolic flexibility is how well you can adapt to using different fuel sources (i.e., carbs, fats, protein, and ketones). For example, I am not metabolically flexible enough to transition to keto without experiencing some flu-like symptoms, while my friend is a metabolic gymnast that can flip his way to ketosis with ease. So, what is behind our contrasting responses to carb restriction? There are many factors that determine metabolic flexibility, but we will stick with two of the most well-known: genetics and lifestyle. From a genetic perspective, certain people are less metabolically flexible because they have genetic variations (e.g., insufficient production of specific enzymes) that make it more difficult for them to adapt to the ketogenic diet. In contrast, those who are quick keto-adapters may be gifted with genes that enhance their ability to switch between fuel sources more efficiently. Lifestyle is a major factor as well. If you’re used to eating a diet high in refined sugar and processed foods, you’re more likely to experience severe keto flu symptoms. On the other hand, If your diet is relatively low in processed sugars and starches, you may only encounter mild keto flu symptoms or none at all. A similar trend emerges with exercise. People who make exercise a part of their life will be more metabolically flexible than those who are sedentary. So, what exactly should you do with all of this information? Exercise more and eat healthier, as soon as possible. Other than that, nothing. Most of the factors that influence metabolic flexibility are so far beyond our comprehension that it is hard to predict how someone will handle carbohydrate restriction until they actually restrict carbohydrates. That being said, what we do know for certain are the primary biological mechanisms that cause the keto flu. Why Do We Get Keto Flu and Its Symptoms? When we restrict carbohydrates, we remove from our diet the one macronutrient that triggers the most insulin release. You may already know that insulin helps shuttle sugar into cells for fuel, but you may not know the effect that insulin has on the kidneys. While insulin is letting the cells know that there is excess energy, it also triggers the kidneys to hold onto sodium and water. As soon as insulin levels drop, sodium is released from the body, taking water along with it. This can cause up to 10 pounds of water weight to be lost during the first 5 days of the ketogenic diet. Glycogen (the body’s storage form of sugar) and fluid levels are intimately connected as well. Every gram of glycogen is stored with around 3 grams of water. Thus, when we breakdown glycogen, some water will be released as well. During the first day of the ketogenic diet, your main fuel source becomes the stored glycogen from your liver and muscle. This can lead to an extra pound to a pound and a half of water loss. Together, glycogen loss and low insulin levels can cause us to excrete so much water and sodium that we experience some of the most common keto flu symptoms, such as dizziness, nausea, cramping, headaches, and gastrointestinal issues. Fortunately, these symptoms can be avoided by drinking plenty of water and supplementing with the right minerals (more on this later). However, even if you replenish your fluids and minerals, you can still experience keto flu symptoms like fatigue and brain fog due to the hormonal changes that carb restriction can provoke. In this study, they found that complete carbohydrate restriction (~0 grams of carbohydrates per day) lead to a 47% decrease in T3. This important to know because T3 is the most potent thyroid hormone that our body makes. It is 5 times more biologically active than T4 (the thyroid hormone that is typically produced in greater quantities). So, if we have T4, then T3 doesn’t really matter, right? Let’s take a closer look at the research to find out. In another study, high Free T4, high reverse T3 levels (the inactive form of T4), and low T3 levels were associated with lower physical function in elderly men. The opposite was associated with decreased mortality risk. With these results, it seems that a drop in T3 levels that is accompanied by an increase in reverse T3 levels is something to avoid. Unfortunately, this may be exactly what happens when we restrict carbohydrates. In a study done with 8 groups of obese individuals, researchers found that different amounts of dietary carbohydrates affect T3 and reverse T3 levels in different ways. T3 levels only decreased when the subjects consumed 120 grams of carbohydrates per day or less (regardless of how calorie-restricted they were). Reverse T3 levels, on the other hand, began to increase when carbohydrate intake was between 40 and 50 grams of carbohydrates per day. This suggests that there are certain thresholds of dietary carbohydrate that can cause changes in thyroid and thyroid hormone function. However, the results from different studies indicate that this varies from person to person. In the first study I mentioned, for example, they found no rise in reverse T3 unless the subjects were restricted to 800 calories a day. On the other hand, the study done on the 8 groups of obese individuals found that their reverse T3 levels increased when they ate less than 50 grams of carbohydrates. To figure out how to apply these findings to you, you must be mindful of how you feel while you are eating varying amounts of carbohydrates. 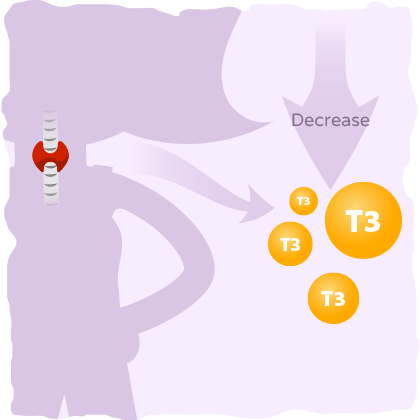 If you are feeling fatigued, depressed, and are struggling to concentrate, then you may have lower T3 and higher reverse T3. This reflects that restricting carbohydrates to that level is impacting thyroid function and causing some keto flu symptoms. Luckily, this issue can be easily addressed in many cases, and we will learn how to do so after we understand the third potential cause of the keto flu. The ketogenic diet triggers a starvation-like response in the body. To increase energy levels in the face of carbohydrate restriction, the body triggers the release of stress hormones like cortisol. This means that the ketogenic diet can increase stress levels and the negative effects that come with it. But this is only a hypothesis based on textbook physiology. What does the literature say about ketogenic diets and cortisol? One recent study compared the effects that low-carbohydrate diets and high-carbohydrate diets had on the cortisol and testosterone concentrations of normal men. The men on the high-carbohydrate diet had significantly higher testosterone levels and lower cortisol levels than the men who were on the low-carbohydrate diet. Exercise training seems to increase this gap even more. In another study, researchers wanted to see the changes that 60 minutes of moderate intensity exercise training would have on free testosterone:cortisol ratio. They split the people into two groups: a 60% carbohydrate diet group and a 30% carbohydrate diet group. The lower carbohydrate group had a 43% decrease in free testosterone:cortisol ratio, while no statistically significant change occurred in the higher carbohydrate group. These studies suggest that — whether you are exercising or not — a lower carbohydrate diet may increase your cortisol levels. You will know if you have higher cortisol levels than before if you feel generally irritable and your sleep quality decreases. Once you are more keto-adapted, however, your cortisol levels are likely to decrease because you will be using more ketones and fat for fuel instead of sugar. Unfortunately, this process can take a few weeks, depending on your metabolic flexibility, lifestyle, and diet. However, it is possible to bust through the keto flu and expedite keto-adaptation, even if you are metabolically more rigid than a tree. All you have to do is implement the strategies found in the next section. Here’s how you can reduce the symptoms of the keto flu, become keto adapted more quickly, or both. Hydration is essential, especially when you are restricting carbs. If you don’t drink enough water while you are on the ketogenic diet, you can quickly become dehydrated and experience adverse effects. All it takes is a water loss of 2% of your bodyweight to impair physical performance and a water loss of 2.8% of your bodyweight to impair cognitive function. This amount of water can easily be lost in the first 5 days of the ketogenic diet, causing keto flu symptoms in those who don’t stay hydrated. Find your suggested water intake — this is the baseline amount of water you should drink in a day. However, you will also need to drink more than this to accommodate the water you will lose during the first five days of the ketogenic diet. To replenish the water loss caused by exercising, Dr. Ben House recommends drinking 16-20 ounces of water per pound of bodyweight you lose from exercising. The same applies to the water loss caused by carbohydrate restriction. Weigh yourself each day to see how much weight you lost. For each pound you lose, add an extra 16-20 ounces of water to your baseline of water intake for the day. You should only do this for the first five days on the ketogenic diet because most of the weight lost during this time will be the result of water loss. Either way, you will probably be fine by following the baseline recommendations above (without getting fancy and weighing yourself every day). 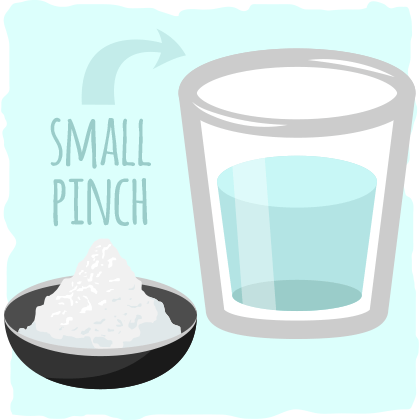 Just add a pinch of unrefined salt to your water and drink it throughout the day, and you’ll feel much better. Sodium and potassium will be lost at rapid rates due to the decrease in insulin on a ketogenic diet. 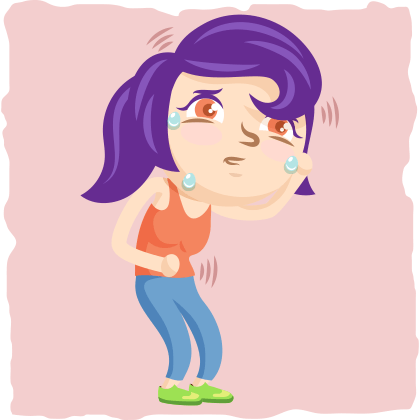 This can cause fatigue, lightheadedness, headaches, constipation, and cramping. To ensure you are getting enough potassium, include avocados and leafy greens like spinach in your daily diet as you are keto adapting. 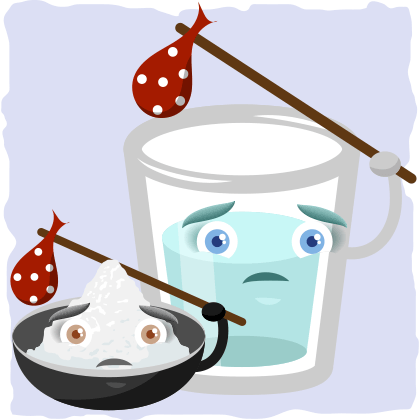 Sprinkle some unrefined salt on every meal and in your water to replenish your sodium levels as well. Some ketogenic dieters even recommend getting at least 5 to 7 grams of salt per day (i.e., one teaspoon to a teaspoon and a half per day) during your first week on keto. Magnesium is another important mineral that can make your transition to ketosis much easier. Although you won’t lose much magnesium while you are restricting carbohydrates, it is essential for helping you prevent and treat cramps, improve sleep quality, and increase insulin sensitivity. To get a decent dose of magnesium, make sure you add some pumpkin seeds, almonds, and spinach to your keto diet. However, to ensure that you get enough magnesium and potassium every day, it is best to have a supplement you can rely on. A trusted potassium supplement, such as the affordable “Potassium Gluconate” from most stores, might be a good choice. 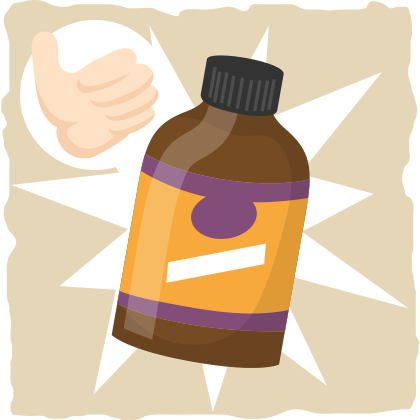 When it comes to magnesium supplements, magnesium citrate will probably get you the best bang-for-your-buck. It’s well absorbed but may have a mild laxative effect in some sensitive people. Magnesium bisglycinate is typically a bit more expensive, and it’s absorption levels and lack of gut issues makes it worth it for anyone sensitive to magnesium citrate. Magnesium bisglycinate is the best choice in this regard. In sum, make sure you have at least a teaspoon of salt per day and supplement your diet with potassium and magnesium to help fend off keto flu symptoms. Side Note: What About Bone Broth? The research on bone broth is scarce. Most of the conclusions about its health benefits are based on the assumption that bone broth must contain a lot of minerals because bones have a lot of minerals. It is a reasonable assumption, but when it was put to the test (twice), it failed. The one published study that I could find on bone broth was published back in 1934. It found that chicken bone broth contained only a trace amount of minerals, but this was over 80 years ago. We need something more recent to confirm these findings. In 2014, one of the readers of Alive.com sent multiple batches of bone broth and vegetable broth to the lab for mineral analysis. The results were a bit counter-intuitive. After 3 large bison bones were pressure cooked for 24 hours, the only significant change was in sodium and potassium content. Sodium increased by about a gram per liter of broth and potassium by just over half a gram per liter. Compare that to the vegetable broth made from nettles and dandelion leaf that was pressured cooked for only 3 hours and left to steep overnight. In this broth, potassium was 3x higher and magnesium 5x higher than the bone broth. So, should you drink nettle and dandelion broth instead? My suggestion is to save your time. Make a hearty salad with avocado, spinach, and pumpkin seeds instead, and supplement with magnesium, potassium, and sodium when you don’t get enough. This is a much easier strategy than drinking a liter of broth that won’t even meet your mineral needs. To help your body become keto-adapted, give it more fat. Fat provides the liver cells with acetyl-CoA that they can use to make ketones. The simplest way to add more fat to your diet is with fat bombs. To find out more about fat bombs check out our comprehensive guide to fat bombs or do a quick search for fat bombs on our website. However, there is one caveat with eating more fat (and it is not heart disease). Most fats aren’t readily used as fuel, especially during the first few days of carbohydrate restriction. In fact, animal fats from meat and dairy have to go all the way through your lymphatic system to your heart, muscle cells, and fat cells before they reach the liver. Only once they get to the liver can they be used to produce ketones. By that time, the protein from your meal may be providing your body with the energy substrates it needs, making ketosis unnecessary. This is when supplementing with MCT oil can help you tremendously. MCT oil is made of medium chain triglycerides, which are a type of saturated that go straight to the liver after digestion (just like carbohydrates). In the liver, they can be converted into ketones and sent to the cells in your body that need them. Simply put, MCT oil can help you become keto-adapted more quickly and efficiently than any other type of fat. Supplementing with MCT oil also has the potential to help you alleviate the keto flu completely, especially if you combine it with the right type of exercise. When you wake up, fill up a bottle with water and a pinch of salt, and go for a long walk. Walk at a pace where you can easily talk without getting out of breath. Aim to walk for about an hour. As you continue walking you should feel better and better and more and more awake. This is a form of low-intensity exercise that will help increase fat burning and kickstart ketosis, so you don’t have to suffer from keto flu. If walking makes you feel worse, then you may be dehydrated, low in essential minerals, or not eating enough. Focus on rehydrating, getting enough potassium, sodium, and magnesium, and eating more fat. Once you feel better, try going for a walk again. When you first start the ketogenic, you may be more stressed and irritable than usual. 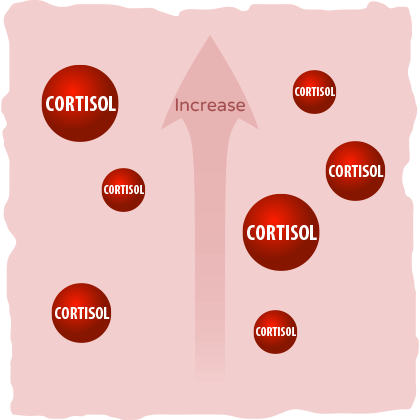 This is might be because your cortisol levels are a bit higher than normal. To help reduce your cortisol levels and improve your sense of well-being, it is may be helpful to implement a daily meditation practice. For 15 minutes every day, simply sit in silence and take long, slow, and deep breaths. 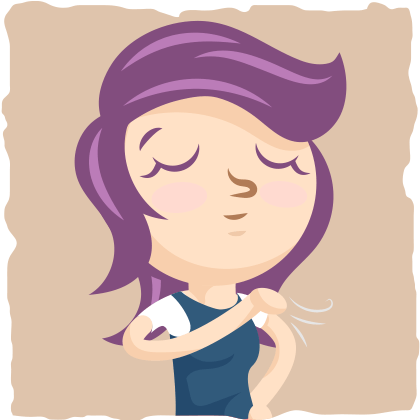 If you have a thought or urge to do something, then shift your focus back to your breath. That’s meditation in its simplest form. The goal of meditation is not to be thoughtless, it is to come back to your breath when you have a thought. This is how you train your mind to be less reactive, so that life is less stressful. If my description of meditation was not enough for you, then you can use one of the many meditation apps to help you develop the habit of meditation. Another way to reduce stress levels is by getting enough sleep. 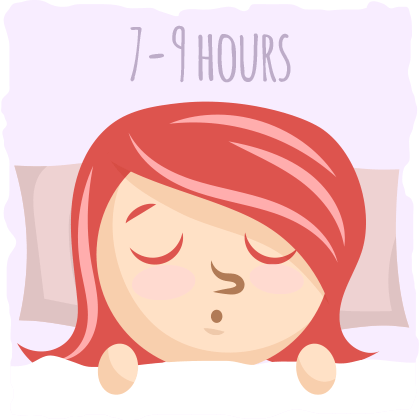 Quality sleep is especially essential for ketogenic dieters. Without it, cortisol levels will increase, making the keto flu worse and keto-adaptation more difficult. Aim to get at least 7-9 hours of sleep every night, and if you are energetically drained in the middle of the day, then take a quick 30 min nap or meditate. It is also important to avoid consuming any form of caffeine in the afternoon as it will make it more difficult to fall asleep at a reasonable time. To help you get to sleep at night, turn off all lights (including your phone) at least 30 minutes before you go to bed. Use that 30 minutes to relax and meditate. This will help you shift your mind from work mode to sleep mode. You can also try taking one of the magnesium supplements we suggested above to help you improve sleep quality. In fact, magnesium supplementation has been shown to increase sleep time, sleep efficiency, and melatonin levels in older adults with insomnia (i.e., those who struggle with falling asleep the most). If you do these six things, then your keto flu symptoms will be reduced or completely relieved. That being said, it is possible to negate these positive effects and provoke the keto flu as well. Without addressing these factors, keto will be more difficult to adapt to than necessary. High-intensity exercise (e.g., CrossFit and HIIT) is much more stressful for a body that is restricting carbohydrates for the first time. (It is even more stressful for a body that rarely does high-intensity exercise). Without adequate carbohydrates and ketones available to fuel this type of exercise, performance will suffer. The stress caused by high-intensity training will only augment the stress caused by carbohydrate restriction, increasing cortisol levels and making the keto flu worse. Stick with low-intensity exercise like walking or cycling until the keto flu has passed, and you are feeling ready to increase your exercise intensity. In response to protein digestion, insulin levels tend to rise. When insulin levels rise, it is more likely that sugar will be used as fuel instead of ketones. The key to preventing this from happening is eating the Goldilocks amount of protein — not too little, not too much. To figure out the perfect amount of protein for you, use our ketogenic calculator. Chronic emotional and psychological stress wreak havoc on your body. In response to stress, cortisol and reverse T3 levels increase, which makes the keto flu much worse. This is why it is important to meditate daily and get enough sleep. Both of these strategies will improve cortisol levels and help you move through common life stressors with ease and grace. The keto flu is not caused by a virus that only infects ketogenic dieters. It is the body’s response to severe carbohydrate restriction. The most common keto flu symptoms are sugar cravings, dizziness, irritability, poor focus and concentration, stomach pains, nausea, cramping, confusion, muscle soreness, and difficulty falling asleep. The severity of the keto flu and its symptoms, however, depends on how metabolically flexible you are. As an example, the most metabolically flexible people may not experience keto flu symptoms at all, while the least metabolically flexible people may struggle to get out of bed. Whether you are metabolically flexible or not, it is important to drink more water, consume plenty of sodium, potassium, and magnesium, eat more fat (especially MCTs), do low-intensity exercise in the morning, meditate every day, and sleep well. Doing these six things can relieve the keto flu completely. Some things that could be getting in your way while keto adapting are stress, high-intensity exercise, and eating too much protein. This is why it is also important to eat the right amount of protein, do low-intensity exercise, sleep well, and meditate to help remedy the keto flu. If you are ready to get started on your keto journey and crush the keto flu, check out our Comprehensive Beginner’s Guide to the Ketogenic Diet. However, if you are struggling with the keto flu and none of these recommendations are helping, try using the bonus keto strategy found below. 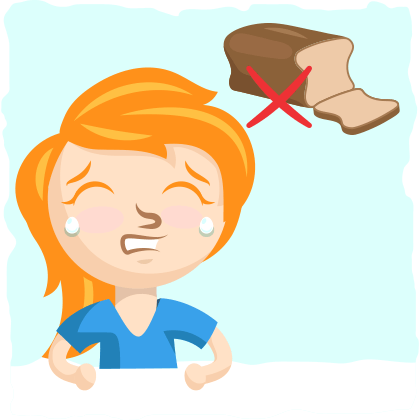 For some people, going from eating as many carbohydrates as they want to eating less than 30 grams a day feels like crashing into a brick wall. To add insult to injury, the keto flu only gets worse no matter what they do to remedy it. If you jump into [a low-carb] program and hit a brick wall because of side effects, instead of giving up on low-carbing for good, add back your carbs until you feel better again and then try cutting down again, but go slow to give your body the time to adapt to the idea. This is a great concept, but how do you put it into practice? Week 1: Replace soda and other sugary drinks with no-calorie beverages. Week 2: Remove all desserts and sugary snacks like cakes, muffins, pastries and chocolate bars. Week 3: Say goodbye to the starchy foods like pasta, pizza, chips, and packaged snacks. Week 4: Eliminate all bread, rolls, and starchy vegetables. Week 5: By now you are probably down to <50g of carbs a day. If you want to restrict carbs further, then cut out fruit and sauces that contain excess carbohydrates. Week 6: Congratulations! You are going to be entering ketosis soon. Follow the suggestions in this article to help with your transition. Whether you go slow and steady or restrict your carbohydrates right away, it is possible to get into ketosis with ease and grace. The keto flu can be a speed bump on your road to ketosis, but you can just take another road.